As a traditional high street broker, we love getting involved with events in our local community, whether that's sports events or charity fundraisers. We have been pleased to be able to participate in a number of different charity days to help fundraise for some great charities. Recently, we have had two charity days – one for the RNLI and another for The Neuro Foundation. These were a great two days and we have lots of fun in the office. Our first charity day was for RNLI and we had a ‘Wear Your Wellies to Work Day’. 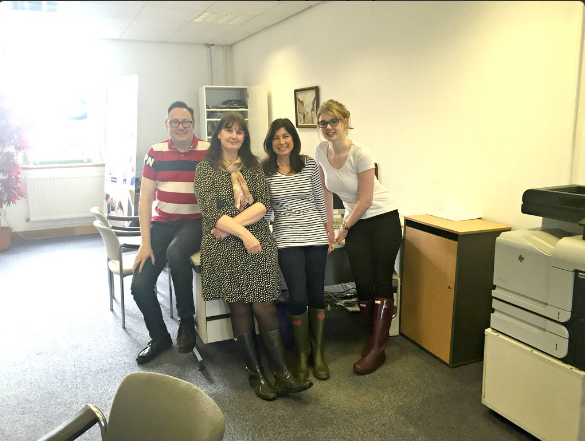 Everyone at the office wore their wellies and donated a £1. Also, there was a charity golf day to help raise even more. As a whole, the company were able to raise over £2000 for the charity. This will help to continue the support of the incredible work of the RNLI. If you like to find out more about the RNLI and would like to make a donation, click here to go to their website. 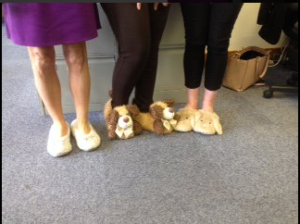 Our second charity day was ‘Wear Your Slippers To Work Day’ in aid of The Neuro Foundation. The charity support children and adults who are affected by neurofibromatosis. We all donated a £1 and, across all branches, we were able to raise over £400. About 1 in 3000 are affected by this condition and in the UK, there are currently 25,000 people diagnosed with NF1. To find out more about the work that the charity does or if you would like to make a donation, click here to go to their website. We had a great few days fundraising and throughout the year, there are a number of different charity days that we take part in. If you want to keep up to date with any of our charity work, follow us on our Facebook and Twitter.